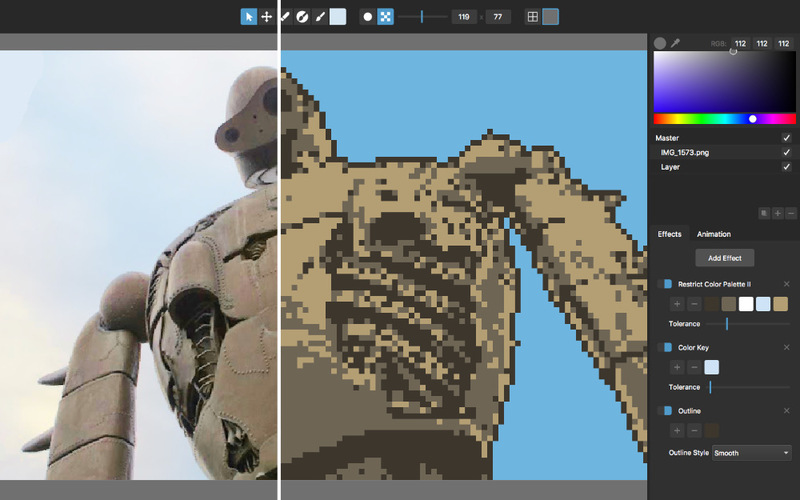 Pixelmash brings a whole new approach to pixel art by letting you paint or import high-resolution images, then non-destructively pixelize and apply other layer effects to turn it into amazing pixel art. This allows you to do really cool things, like create animations using layer transforms rather than having to paint every frame pixel-by-pixel, or make outlines, shading, or dithering easily adjustable by having them applied as layer effects, or easily create different resolutions and color variants of the same image, or convert photos or other hi-res images into pixel art. 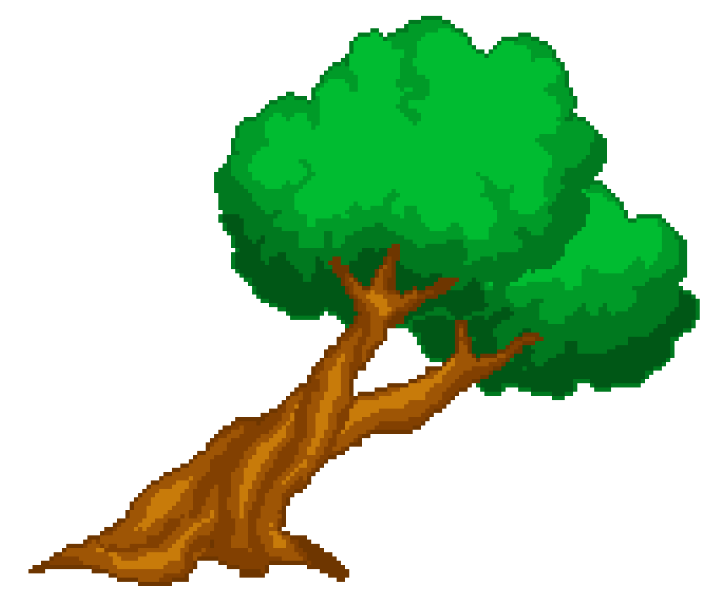 Of course at any point you can convert your project to standard pixel art and do precise pixel-by-pixel work. Try it for free, you’ll be surprised at how fast it is to create iconic video game art. 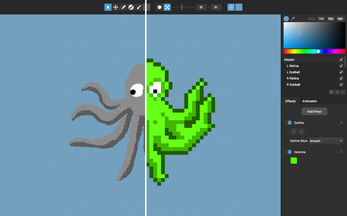 See a full walkthrough of how to use Pixelmash here. This is a time-limited trial version of the app, you can purchase a full license at https://nevercenter.com/pixelmash, thanks! Huge New Pixelmash 1.1 Update Released (Plus New Walkthrough Video)! Gigantic Update! 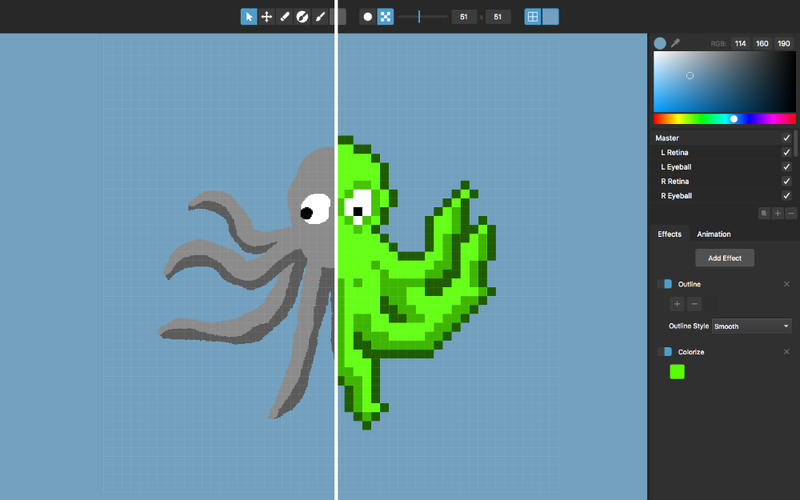 Pixelmash v1.1 Beta is LIVE! Huge New Animation Features Coming In Next Update (Vid)! Pixelmash 1.0.11 Released - Big New Features!